"In a future without water, vengeance will rain." Young Ones is a 2014 action, drama science fiction western that is written and directed by Jake Paltrow, younger brother of Gwyneth Paltrow. The story of the film revolves a particular spit of land located in the western United States in a dystopian future where water is nearly impossible to find due to global warming. The plot moves about a family struggling in the desert to survive and the forces, both natural and not, that begin closing in around them. Young Ones received a very mixed but generally negative reception upon its release mainly centering around the unbelievability of the characters' attitudes and wardrobes. The film stars Elle Fanning, Michael Shannon and Kodi Smit Mc-Phee. 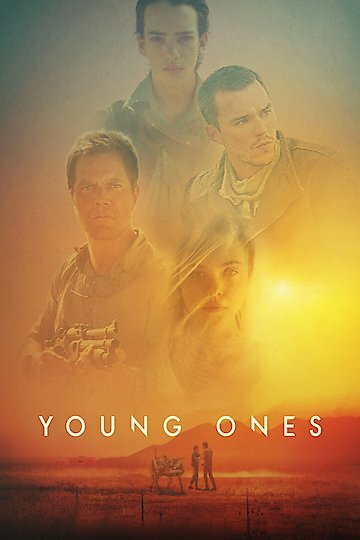 Young Ones is currently available to watch free on Vudu Free and stream, download, buy on demand at Amazon Prime, Amazon, Vudu, Google Play, FandangoNow, iTunes, YouTube VOD online.